Since 1996, when Wallpaper For Windows introduced upscale adhesive-free decorative films as a solution to the privacy needs of a world with too many windows and glass doors, the company has given us a number of innovative products to improve the aesthetics and enjoyment of residential and commercial spaces. Numerous frosted and etched glass designs, stained glass designs and decorative accents are now available to help decorators and designers work with today’s problems and opportunities. The new Deco Tints are their most innovative products to date. This line of adhesive-free films in 10 stained glass colors can be arranged and combined to create hundreds of unique, custom looks. 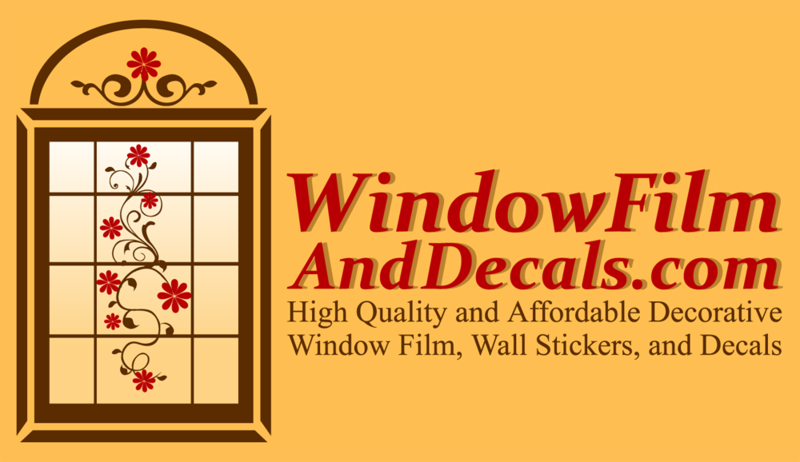 With each color available in both a see-thru and privacy version, you can decorate windows, glass doors, shower doors and enclosures, glass cabinet doors, mirrors and more. This “new” look can be purely decorative or a problem solver for privacy and bad view issues affecting a room. While Deco Tints can easily create a decorative focus, they're most often used as a decorative accent. Tinting the color of the glass to coordinate with the room’s decor creates a number of visual benefits that are new solutions to common problems. See-thru Deco Tints have unique benefits that can make a decorator’s life easier. They “soften” the view through the glass. One can still see what is happening outside, but a lot of visual clutter seems to disappear from view or is less intrusive to the room’s ambiance. When looking through see-thru Deco Tints, power line become invisible, neighbor’s cars and activities become less noticeable and in urban or commercial areas, signs, buildings and pedestrian traffic are less distracting. Privacy Deco Tints have all of the benefits of frosted glass, but we now have color choices other than white. These opaque films add privacy to windows and glass doors without darkening a room. They are highly recommended as a way to add privacy to windows, glass doors, sidelights and clear glass shower enclosures. Deco Tint (and the rest of the Wallpaper For Windows product line) offer many excellent options for decorating glass doors. Covering one-light French doors with see-thru or privacy tints is a quick and easy way to give a door an expensive custom look. (My favorite is a French door with dark wood and a Ruby colored Deco tint.) Decorating multi-light doors such as the popular 15-light French door can be understated by covering a few panes with a single color or create a decorative focus with a combination of colors. In many ways, sliding glass doors are a wall that you can’t paint or hang a picture on. Decorating sliders with see-thru Deco Tints is much like putting a see-through paint on the glass. Once applied, the glass wall has color and the room has a softer view of the outside world. To further reduce the impact of sliders on a room (especially if there is a less than perfect view), decorators can use the privacy version on the fixed or unmoving doors, and the see-thru version on the door that opens. Kitchen, bedroom and bathroom windows are other areas where see-thru and privacy versions can be used together: privacy on the bottom half and see-thru on the top. My decorating colleagues, the business today is all about value. If it weren’t for the cost, glass doors and windows with colored glass would be as common as doorknobs. Deco Tint’s are an affordable alternative that delivers all the benefits of custom glass, but can be easily removed when time to redecorate. Give them a try and you’ll become a color convert.